Providing you the best range of maize processing equipment, maize huller, flour milling equipment, maize grit making machine, maize cattle feed plant and maize degerming machine with effective & timely delivery. Due to the hygienic and sophisticated processing techniques, we have been able to present world class Maize Processing Equipment to our customers. These equipments are fabricated under the supervision of our qualified team of professionals. We make use of latest technology to manufacture our offered range of equipment. Further, our products are appreciated for their durability, compact design, hassle-free performance and corrosion resistance. 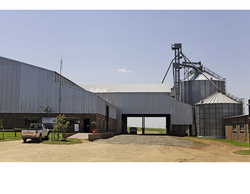 Offered equipment find vast application in maize processing industries. We are instrumental in offering a qualitative range of Maize Huller Machinery. Developed at our sophisticated manufacturing unit, we have made the use of high grade material and components. Appreciated by clients for their varied features, these machines are made as per the predefined industrial standards. Customers can avail this range from us in the most comprehensive prices. 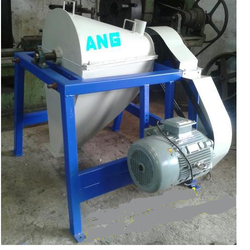 In line to meet the utmost satisfaction of the customers, we have offered Maize Grit Making Machine in a compact frame. In line with clients' diverse requirements, we are involved in providing an optimum quality range of Maize Cattle Feed Plant. In line with clients' diverse requirements, we are involved in providing an optimum quality range of Maize Degerming Machine. 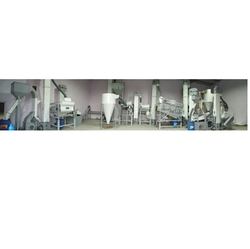 Looking for Maize Processing Equipment ?